recognising our welcoming approach to children and young people and the value we place in their input into church life. We currently work with children in our Sunday Club (Junior Church), a youth group for 8-12 year-olds which meets on Monday evenings and a thriving Brownies, Guides and Ranger pack on Tuesdays. 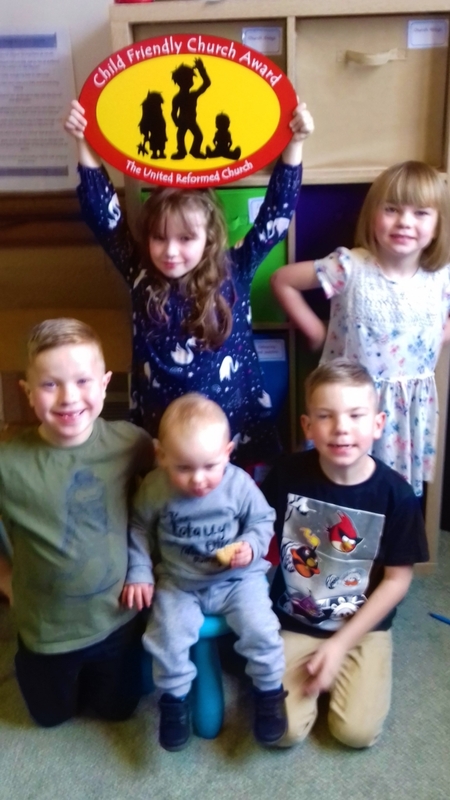 The Parents/Carers and Toddler group continue to meet on Thursday mornings and Hall Royd Band with its long association with the church has a number of young people in its group. Our “Charter for Children” has been accepted at General Church Meeting and we actively seek ways to include the children’s views.